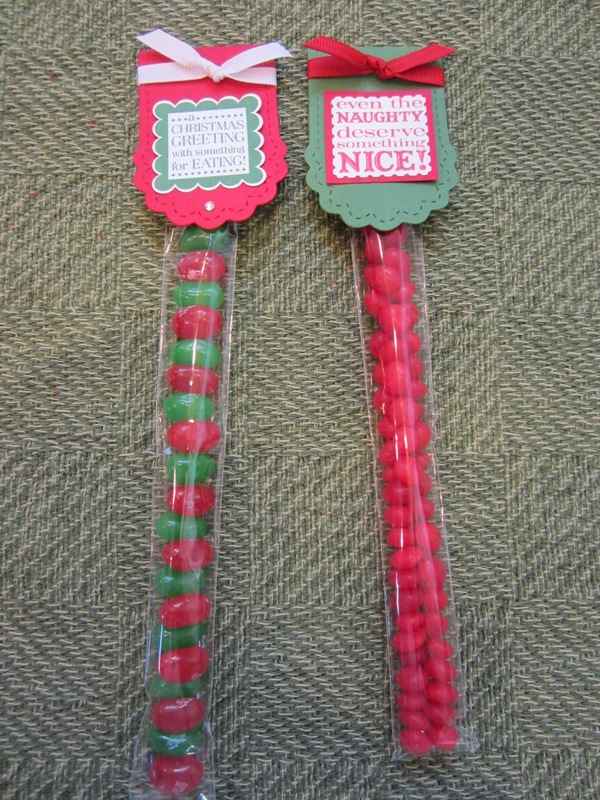 Two Decorated Candy Wrappers with Christmas Candy Inside. These are quick and easy and are perfect for stocking stuffers. 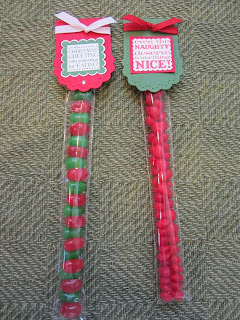 The Tags Til Christmas stamp set is perfect for these candy holders. You can find the wrappers in the current Holiday Mini Catalog on page 11. You receive 50 of these for $2.50 - a pretty awesome deal!